Claude ‘s career spans almost the entire century – his earliest datable works are from the end of the 1620 s – and he witnessed almost all the main changes of artistic style during his long stay in Rome. Some details of his early life are known, but they add up to very little in the search for his artistic origins. Leaving his native Lorraine for Rome at the age of thirteen in 1613, Claude spent the next decade of his life learning his art. Nothing survives from this period. In 1626 he returned to Lorraine and was apprenticed to Claude Deruet for one year. After completing this one – year apprenticeship he returned to Rome. Claude ‘s earliest surviving pictures have usually been dated to around 1630, although he did not begin to keep accurate records until the mid – 1630 s. Then he decided to keep a record of every picture he painted, in the form of the Liber veritatis (British Museum, London), in which, after he had completed a painting, he made a careful drawing of the composition and noted the buyer on the back. He thus documented some two hundred pictures over almost fifty years. 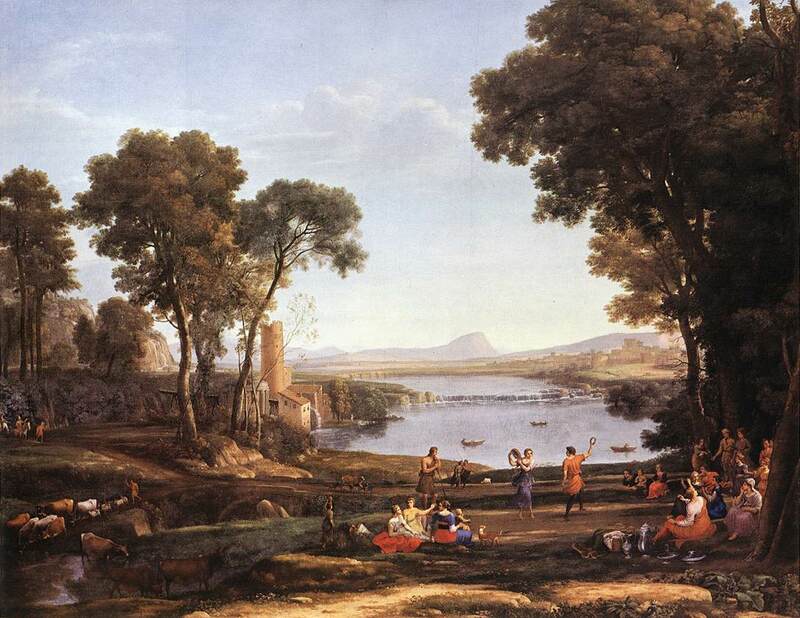 Claude ‘s achievement as a pioneer in landscape painting has earned him a place in the pantheon of art history. He was widely imitated for almost two centuries, and therefore often produces in the popular imagination a feeling of d�j� -vu, especially in his best – known compositions. Claude ‘s powers of innovation were in fact limited – he concentrated on a very narrow range of tones in a very narrow landscape type. Once he had perfected his technique, he did not develop much further deliberately; his work was too eagerly sought after by powerful patrons for him to need to do so.